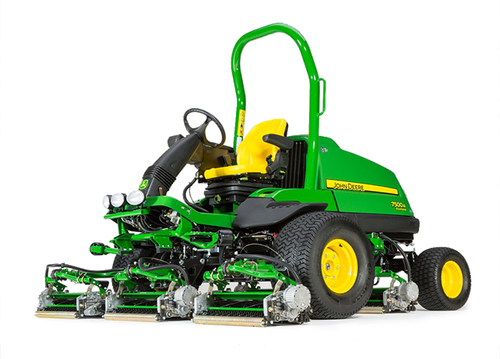 John Deere’s new, advanced technology fairway mowers and aerators for 2014 can be seen at 17 golf course locations throughout Great Britain, Northern Ireland and the Republic of Ireland from early July until mid-August. Free places at each John Deere Take Control 2014 Golf Roadshow event should be booked in advance by contacting your local John Deere professional golf & turf dealer, or the company direct on Freephone 0800 085 2522. The full list of venues is given below, or can be found at www.JohnDeere.co.uk (look for the Golf Roadshow Events link on the home page), along with a dealer locator. Visitors will be able to hear about the company’s latest machines and see them working, including brand new and improved mowers for fairways, roughs and semi-roughs, tees & surrounds and greens, as well as two new pedestrian aerators that have been redesigned from the ground up. New features on the A Model mowers include a simple to use TechControl display, LoadMatch from the John Deere compact tractor range, and OnCourse Technology for improved overall performance and reliability. The new PrecisionCore pedestrian aerators feature a patented articulating frame to provide more consistent hole depth in undulating terrain, as well as the ability to change hole spacing on the move and a tighter turning radius. Machines on show will also include the latest hybrid electric technology E-Cut mowers and John Deere’s unique Quick Adjust (QA) cutting units, which are designed to produce a higher quality finish on golf courses and other sports and amenity turf areas. Each day’s programme will start at 10am, and light refreshments will be provided.